It's no secret -- we love a good 'gram. Here, we'll be posting our favorite Instagrams from the food world, on a different theme each week. Today, we're distracting ourselves with avocado toast. So you had a bad day -- and who could blame you? All you've been hearing about is summer's swift demise. Black clouds are looming on the horizon, just waiting to drop unflattering down jackets and monochromatic vegetables over your town. This author blames herself for some of that fear-mongering. But forget all that -- if only for a short while -- because we hereby declare the next seven days to be Avocado Toast Week. Avocado toast makes us happy (just look at this picture from thecrunchyradish and try not to smile), and we hope it makes you happy, too. We want to know how you make your perfect avocado toast. Do you use English muffins or sourdough? Do you top it with chili flakes, chia seeds, or poached eggs? 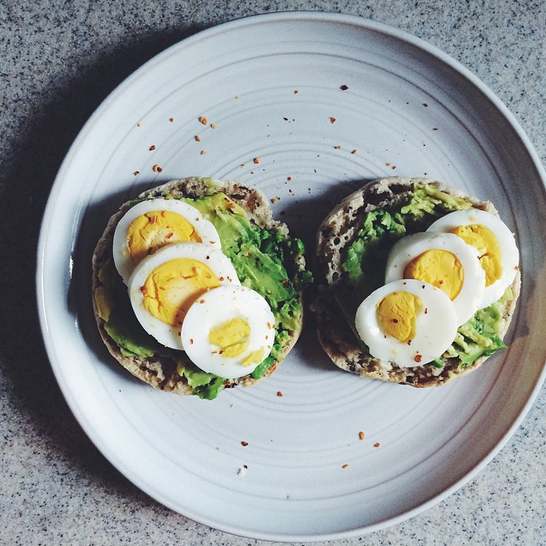 Share your photos with us and spread the love (and the avocados). We want your 'grams! Follow us, then tag your 'cado toast with #f52grams -- we'll repost our favorites.